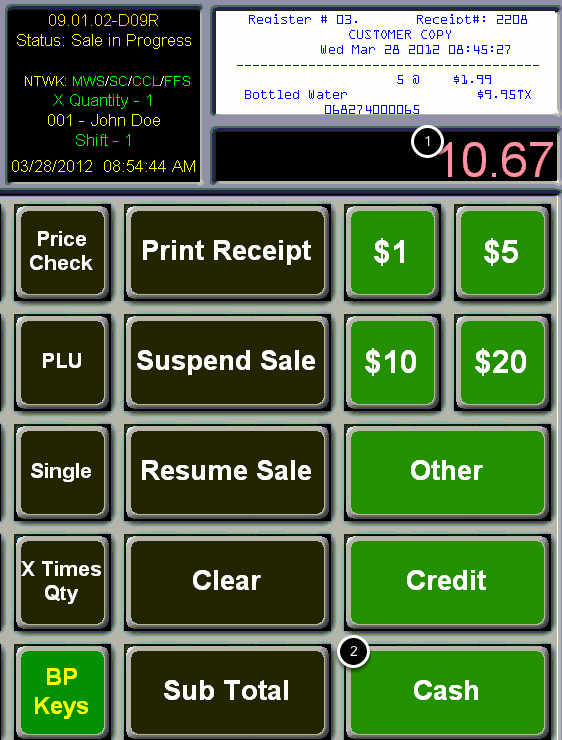 TravStar1 Point Of Sale SystemRegister Manual Basic Register TransactionsHow Do I Ring Multiples of an Item without Scanning It Multiple Times? How Do I Ring Multiples of an Item without Scanning It Multiple Times? This lesson will teach you how to ring multiples of an item. Type the quantity of the item using the number pad on the keyboard. In this example, we will be ringing 5 bottled waters. Touch the "X Times Qty" button. Notice that the X Quantity number has changed from 1 to 5. This indicates that the next item scanned will ring in a quantity of 5. (2) In the receipt preview display. 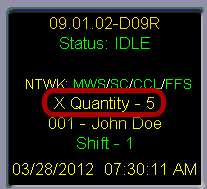 (3) Also, now that the item has been scanned, notice that the X Quantity has returned to 1. Prev: How Do I Sell an Item that Is Assigned to a Button on the Screen? Next: How Do I See the Amount of Change Due to a Customer?